Spotlight On Spices! Issue January 2016 - Parsley Family of Aromatics! Happy New Year! Welcome to 2016. I'm wishing us all a Sweet 16! Got that one from my friend Steve who got it from his dad. As we begin this new year with goals to eat and care for our bodies better, remember to bookmark WikiSpices and use the website throughout the year as a ready resource. It really is a goldmine stocked with quick usable information I know you, your family and friends will find quite helpful. So, please share the wealth and let everyone know about it. Thanks! P.S. Goddaughter Lauren arrived home mid-December after a memorable, great-eats fall semester in Provence. Lately I've been cooking with bunches of carrots and celery perfecting my ragu and ragouts, and making pots of soups and stews - the kinds of comfort foods that warm both body and soul. Plus, January is National Soup Month, and January 4th is National Spaghetti Day. 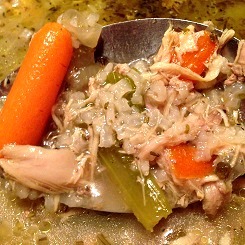 Just this morning, using carrots, celery, onion, garlic, rice, and other seasonings I turned a Cornish Hen into a savory soup perfect for this freezing weather lingering in the Philadelphia region. 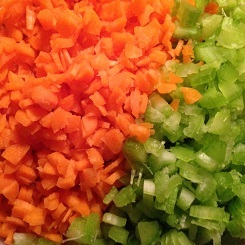 While the soup cooked and I diced some more carrots and celery as prep for my next batch of ragu, I thought about the "family" of which these two veggies belong: it's this month’s . . . . THE SPICE OF LIFE - Parsley Family of Aromatics! Commonly referred to as "aromatics" carrots and celery are edible herbaceous plants that are members of the rather large (300 genera and over 3,000 species) Parsley/Carrot Family which includes a slew of other well-known herbs and spices such as Anise, Caraway, Chervil, Cilantro, Coriander, Cumin, Dill, Fennel, and Parsley. Parsnips are members too! Native to North America are 75 genera of the Parsley Family. 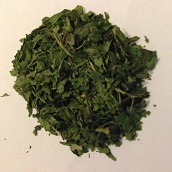 Go to WikiSpices to learn more about each of the herbs and spices mentioned here. Note: If ever out and about foraging for edible plants remember that the Parsley Family includes poison Hemlock and water Hemlock which are two of the deadliest (they are NOT related to the Hemlock tree).